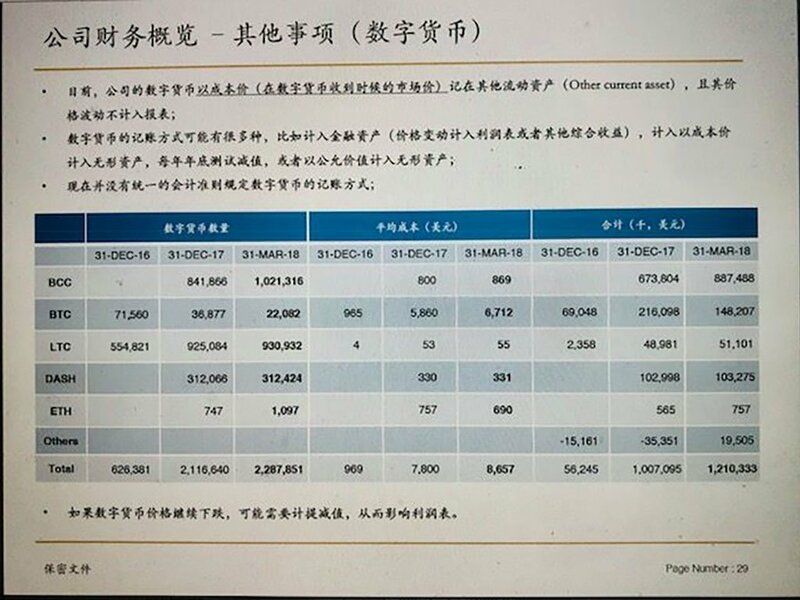 Bitmain sent investors a prospectus of the upcoming IPO. According to the prospectus, seen by CoinDesk and Trustnodes, the listing of the company's shares will take place in the fourth quarter of 2018 or the first quarter of 2019 at the Hong Kong Stock Exchange. According to Chinese media, China International Capital Corporation (CICC) will be the lead underwriter of Bitmain's IPO. The documents for investors also state that in 2017 mining pools, managed by Bitmain, covered 40% of the network's needs, although earlier this year Bitmain publicly announced that its share in the bitcoin mining market stands at modest 3-4%. In July, Bitmain reported that it has the following computational capacities for the three main mining algorithms: SHA256 - 1,692 PH/s, ETHASH - 339.7 GH/s, SCRYPT - 44.2GH/s. Thus, Bitmain claimed that it controls only 4% of the hashrate in the bitcoin network. According to the IPO prospectus, as of 31 March 2018, Bitmain had voluminous reserves in Bitcoin Cash (1,021,316), Bitcoins (22,082), Litecoin (931,932) and Dash (312,424). Tiny holdings of ETH in Bitmain's cryptocurrency portfolio is due to the fact that this cryptocurrency is mainly mined on GPUs, while ASICs working on the Ethash algorithm appeared only this year. It is worth noting that Bitmain decided to sell most of their bitcoins and exchange them to Bitcoin Cash, That decision resulted in multimillion losses, as Bitcoin Cash slided more than 30% since March. In 2017, Bitmain received a profit of $1.1 billion, whereas in 2016 the profit was only $100 million.